The farthest and most isolated part of the Suru Valley, Rangdum is an elliptically expanded plateau surrounded by colourful hill on the one side and glacier-encrusted rocky mountain on the other. 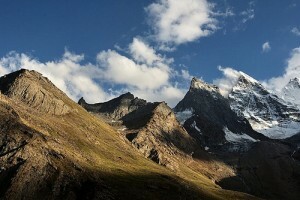 Situated 130 km south east of Kargil, it falls midway between Kargil and Padum. The areas wild beauty is almost haunting. The chief attraction of the area is an imposing 18th century Buddhist monasteries with about 40 monks in residence. 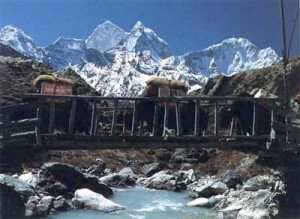 Rangdum also serves as an important trekking base. The most popular trek from here leads to Henaskut near Lamayuru, across the spectacular gorge of the Kanji Valley. This 5-day trek also forms the last leg of the 2 weeks long trans-Himalayan traverse between Kashmir and Ladakh. Among the shorter trek available, the best is a hike up the Penzila Ridge to camp for a night or two opposite the majestic Drang-Drung Glacier. A footbridge is ready for launching on the Suru for this approach. Other much shorter, day-return hikes are aplenty around the area. This entry was posted in Jammu & Kashmir, Rangdum. Bookmark the permalink.